Intel IT company profile: Complete details and official website details are gathered and a collection of information is given below about processors manufacturing giant INTEL. Placement interview pattern & sample papers also available in our students3k. Intel (Integrated Electronics) is an American Multinational Company established in the year 1968 by Gordon Moore and Robert Noyce. Intel’s first product was Schottky TTL bipolar 64-bit static random-access memory (SRAM) in the year 1969. They are the world leaders in silicon innovation, develop technologies and products. Intel released its first microprocessor in the year 1971. – Intel chip present in 85% of all desktop computers. – Started an industry consortium of semiconductors. – Launched Intel PXA800F processor. – Released first world’s quad core processor. – Intel released Intel Centrino Duo mobile technology and Intel Viiv technology. – Released Quad core for mainstream desktop computers. – Sets up fabrication facility in Arizona. – Inaugurated Intel Design Center in Haifa, Israel. – Released Intel Atom Processors for netbooks and nettops. – Released 3-D tri-gate transistors. – Fortune magazine ranked Intel No.46 among the 100 Best Companies to work for list in the year 2004. – Intel ranks 21 on Training Magazine Top 125 in the year 2011. 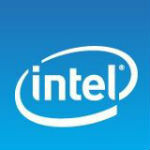 – Intel included on Fortune’s list of Blue Ribbon Companies in the year 2011. Intel has the work force of 104,700 employees as on 2012. Reference: Wikipedia & Intel website.